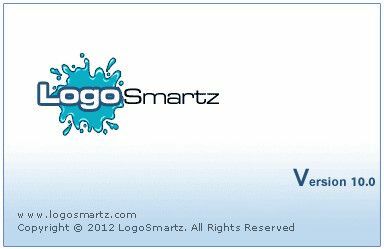 Create your own logos with LogoSmartz, the logo design software. Get a professional, attractive logo in minutes No knowledge of graphic design required. LogoSmartz is an innovative feature packed logo creation software that can help you turn out high quality logos in minutes. In fact, you can make your own high-resolution logos without any effort or prior knowledge of graphic designing. You can access vast, professionally designed graphic symbols (including alphabets, numeric symbols, abstract symbols, etc.) and ready to use logo templates while creating your logo. LogoSmartz has introduced some remarkable effects that you can apply on your logo to make it stand out from the crowd. Generating a logo becomes as simple as ABC! · Choose from 1500 available logo templates you can customize your logos according to your needs. · Over 4000 high quality graphic symbols and shapes. · Choose from over 300 fonts or import system fonts to customize your logos. · Free Logo Smartz Online Tutorial. · Easily customize by adding text, shapes, lines, arcs, symbols and images to logo. · Apply gradient, shadow, bevel, outline and blur effects to logo objects. · Use filters like grayscale, invert, emboss, sharpen and water. · You can also add taglines to your logo from our tagline library. · Apply Color adjustments that include brightness, contrast, saturation and hue to make logos more attractive. · Use layers, lock and hide, group and ungroup, bring forward and send backward and 6 alignment options for arranging logo elements. · Option to fill any logo object with an image. · Coloring options: color picker, 256 RGB basic color palette, 9 color palettes: 5 RGB and 4 CMYK palettes and ready color styles. · Get Logo Output in 7 formats (TIFF, JPG, GIF, PNG, PDF, BMP and Vector EPS) and in any size. · Create transparent logos in PNG and GIF formats. · You can print the logo or email logo. · Logo templates can be stored for future use.